In the steps below, I will describe how to setup an automatic refresh of one single QVW file. 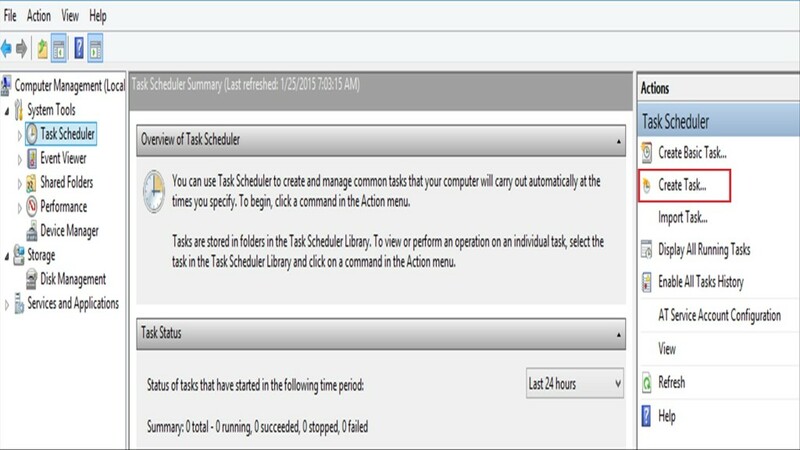 Any time I use this functionality, I keep it simple and refresh one single file per scheduled task. I’ve seen more elaborate solutions over the years, but I like to keep things simple and avoid potentially complex issues. Also, I make it a practice to close the load script window upon completion. 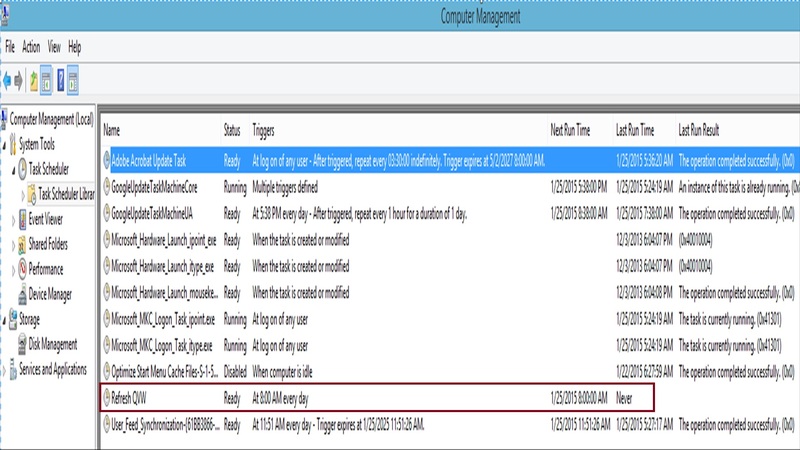 This is the most common scenario and allows your application to be refreshed automatically if needed. Notice in the “Add arguments” box, the use of /R inserted before the location of the QVW file you are looking to refresh. This parameter prompts Qlikview to reload the document upon opening, then will save the document once the reload is complete. 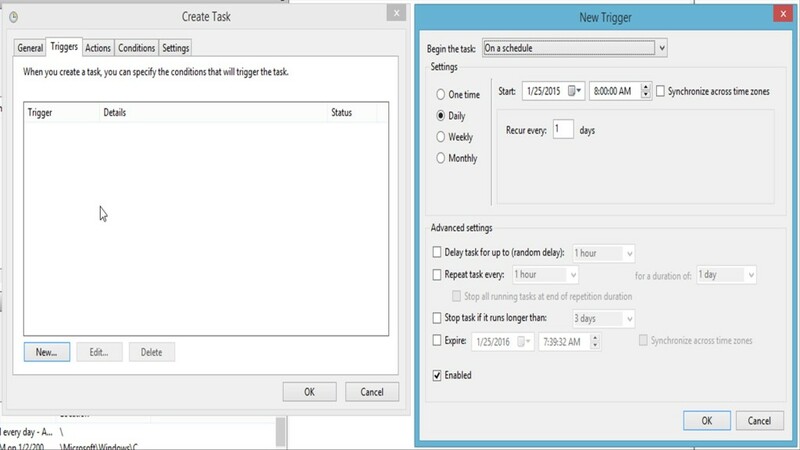 Here, you can select Begin the Task on a schedule, and fill out the desired parameters. OK the trigger window, then OK the Create Task window. 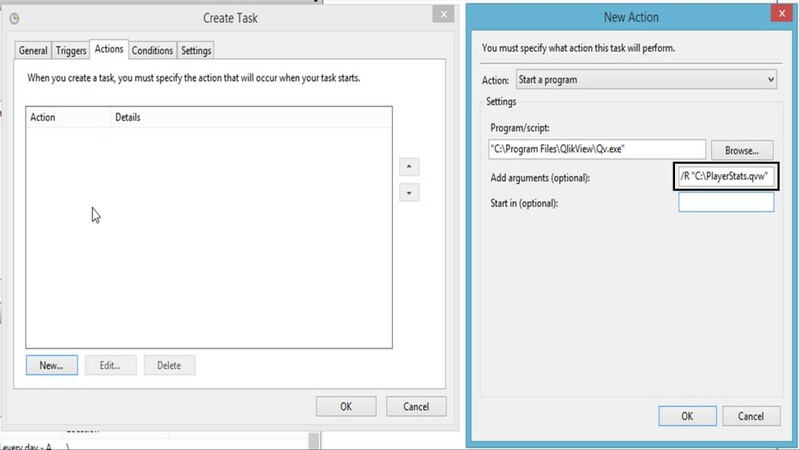 Now you have a scheduled task on your computer to open your QVW to reload contents! As you can see, this is a nice technique to have you QVW automatically refresh on a scheduled basis. In my organization, we have Qlikview Server, so my users utilize Access Point to view QVW files on the web. We as developers have to publish our QVW files into a staging folder on the network, that publishes the application to Access Point in 10 minute increments. 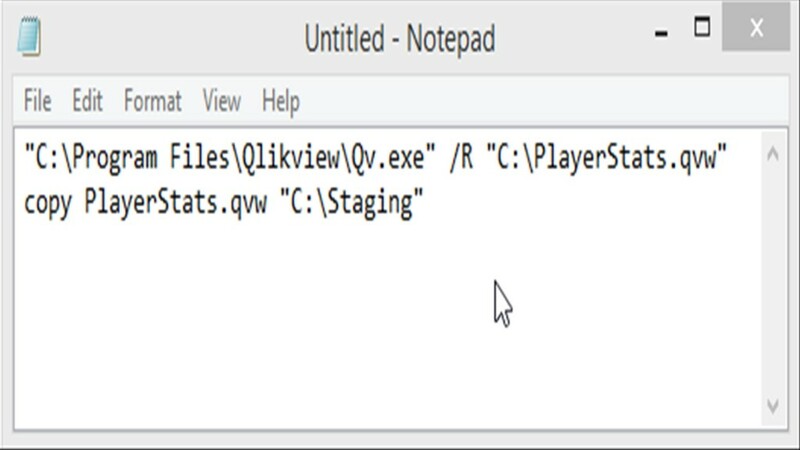 Having the QVW files refresh automatically as described above is nice, but we also need the refreshed QVW file to be placed in a staging folder. 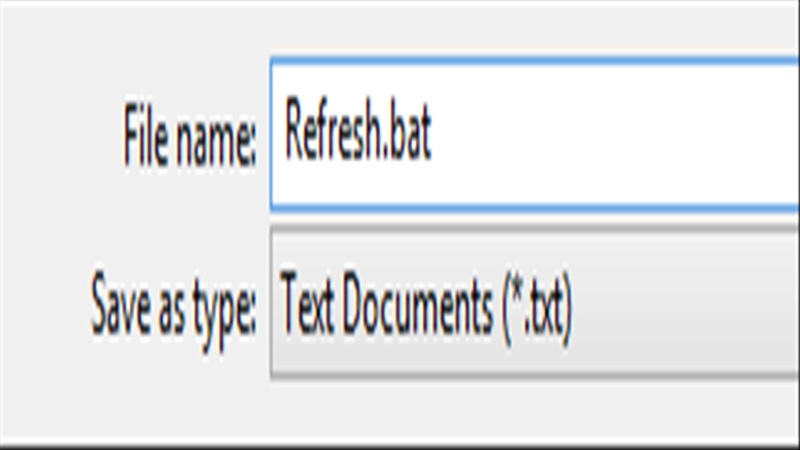 We accomplish this by creating a batch file (.bat). "C:\Program Files\Qlikview\Qv.exe" /R "C:\PlayerStats.qvw" copy PlayerStats.qvw "C:\Staging"
Once you have the batch file saved and setup, you can then create a windows scheduled task (similar to what was setup above) to run the batch file process automatically. 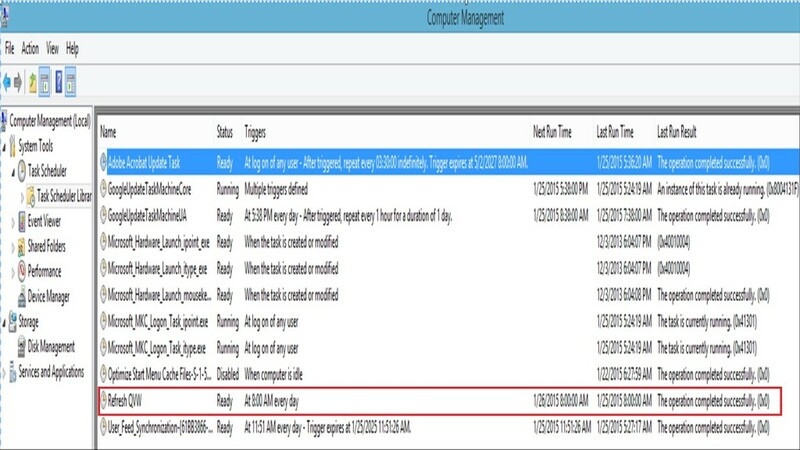 The QVW file will get copied over to the staging folder once the file is refreshed and saved, and will then be available to your users in the Access Point web page. If you are ever in a situation where you need to setup a process to automatically refresh a QVW file, the techniques above are a nice solution to satisfy this task. You may not have access to the Qlikview Server, or your organization may not have the resources or technical knowledge to leverage automatic scheduling in the Qlikview environment. No matter what the reason may be, if you follow the steps above, you can accomplish this task! Easy steps for non technical user having Personal Edition. Well Done!